Engineered microbes turn a bacterium’s immune response against itself using CRISPR. Genetically modified viruses that cause bacteria to kill themselves could be the next step in combating antibiotic-resistant infections [Nature]. To avoid these issues, Locus and several other companies are developing phages that turn the bacterial immune system known as CRISPR against itself. In Locus’ phages, which target bacteria resistant to antibiotics, the CRISPR system includes DNA with instructions for modified guide RNAs that home in on part of an antibiotic-resistance gene. 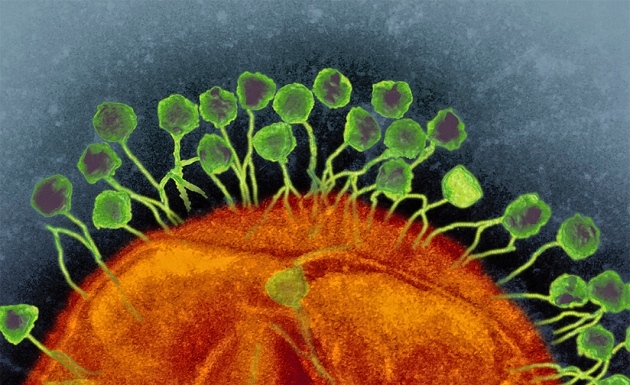 Once the phage infects a bacterium, the guide RNA latches on to the resistance gene. That prompts an enzyme called Cas3, which the bacterium normally produces to kill phages, to destroy that genetic sequence instead. Cas3 eventually destroys all the DNA, killing the bacterium. “I see some irony now in using phages to kill bacteria,” says Barrangou. Researchers from the Broad Institute of MIT and Harvard, Massachusetts Institute of Technology, the National Institutes of Health, Rutgers University-New Brunswick and the Skolkovo Institute of Science and Technology have characterized a new CRISPR system that targets RNA, rather than DNA. infection by targeting RNA. Photo composite by Lauren Solomon, Broad communications. Images courtesy of Broad communications and NIH. In a study* published today in Science, Feng Zhang and colleagues at the Broad Institute and the McGovern Institute for Brain Research at MIT, along with co-authors Eugene Koonin and his colleagues at the NIH, and Konstantin Severinov of Rutgers University-New Brunswick and Skoltech, report the identification and functional characterization of C2c2, an RNA-guided enzyme capable of targeting and degrading RNA. The findings reveal that C2c2—the first naturally-occurring CRISPR system that targets only RNA to have been identified, discovered by this collaborative group in October 2015—helps protect bacteria against viral infection. They demonstrate that C2c2 can be programmed to cleave particular RNA sequences in bacterial cells, which would make it an important addition to the molecular biology toolbox. The RNA-focused action of C2c2 complements the CRISPR-Cas9 system, which targets DNA, the genomic blueprint for cellular identity and function. The ability to target only RNA, which helps carry out the genomic instructions, offers the ability to specifically manipulate RNA in a high-throughput manner—and manipulate gene function more broadly. This has the potential to accelerate progress to understand, treat and prevent disease. In this work, the team was able to precisely target and remove specific RNA sequences using C2c2 – lowering the expression level of the corresponding protein. This suggests C2c2 could represent an alternate approach to siRNA, complementing the specificity and simplicity of CRISPR-based DNA editing and offering researchers adjustable gene “knockdown” capability using RNA. C2c2 is genetically encodable—meaning the necessary components can be synthesized as DNA for delivery into tissue and cells. “C2c2’s greatest impact may be made on our understanding the role of RNA in disease and cellular function,” said co-first author Omar Abudayyeh, a graduate student in the Zhang Lab. Traditional gene therapy works via a relatively brute-force method of gene transfer. A harmless virus, or some other form of so-called vector, ferries a good copy of a gene into cells that can compensate for a defective gene that is causing disease. But CRISPR can fix the flawed gene directly, by snipping out bad DNA and replacing it with the correct sequence. In principle, that should work much better than adding a new gene because it eliminates the risk that a foreign gene will land in the wrong place and turn on a cancer gene. And a CRISPR-repaired gene will be under the control of that gene’s natural promoter, so the cell won’t make too much or too little of its protein product. 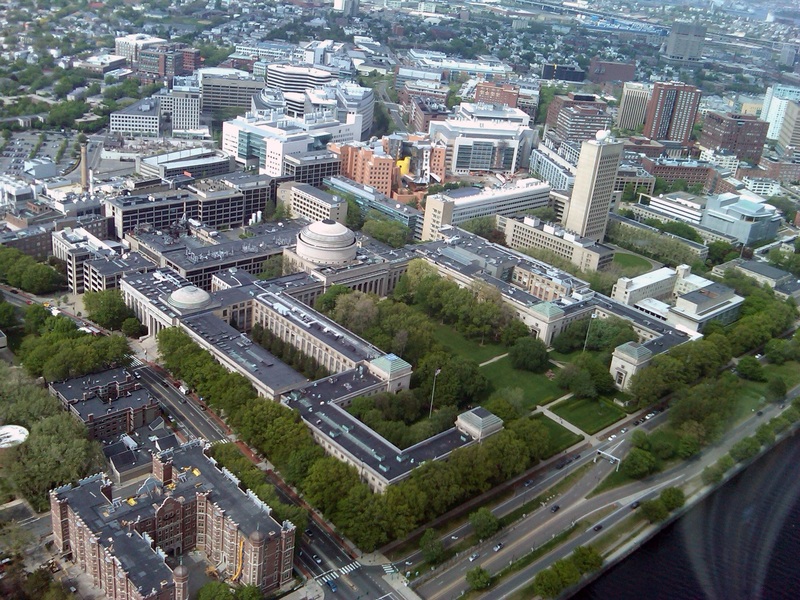 In 2011, about a month after joining the MIT faculty, Feng Zhang attended a talk by Harvard Medical School Professor Michael Gilmore, who studies the pathogenic bacterium Enteroccocus. The scientist mentioned that these bacteria protect themselves from viruses with DNA-cutting enzymes known as nucleases, which are part of a defense system known as CRISPR. Zhang devoted himself to adapting the system to edit genes in mammalian cells and recruited new members to his nascent lab at the Broad Institute of MIT and Harvard to work with him on this project. In January 2013, they reported their success in the journal Science. Since then, scientists in fields from medicine to plant biology have begun using CRISPR to study gene function and investigate the possibility of correcting faulty genes that cause disease. Zhang now heads a lab of 19 scientists who continue to develop the system and pursue applications of genome editing, especially in neuroscience. “The goal is to try to make our lives better by developing new technologies and using them to understand biological systems so that we can improve our treatment of disease and our quality of life,” says Zhang, W. M. Keck Career Development Associate Professor in Biomedical Engineering and a member of MIT’s McGovern Institute for Brain Research. 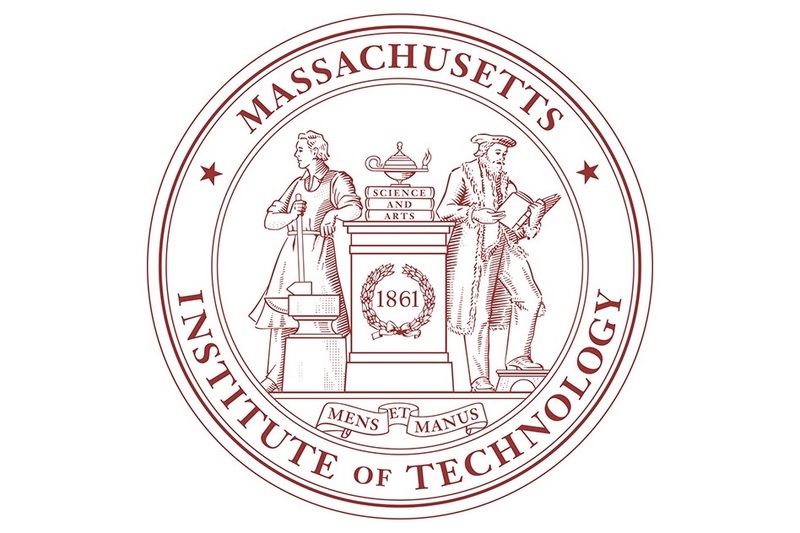 Zhang recently earned tenure in MIT’s Departments of Biological Engineering and Brain and Cognitive Sciences. As a sophomore in high school, Zhang began working with Dr. John Levy in a gene therapy lab at the Iowa Methodist Medical Center in Des Moines, where he studied green fluorescent protein (GFP). Scientists had recently figured out how to adapt this naturally occurring protein to tag and image proteins inside living cells. Zhang used it to track viral proteins within infected cells to determine how the proteins assemble to form new viruses. He also worked on a project to adapt GFP for a different purpose — protecting DNA from damage induced by ultraviolet light. 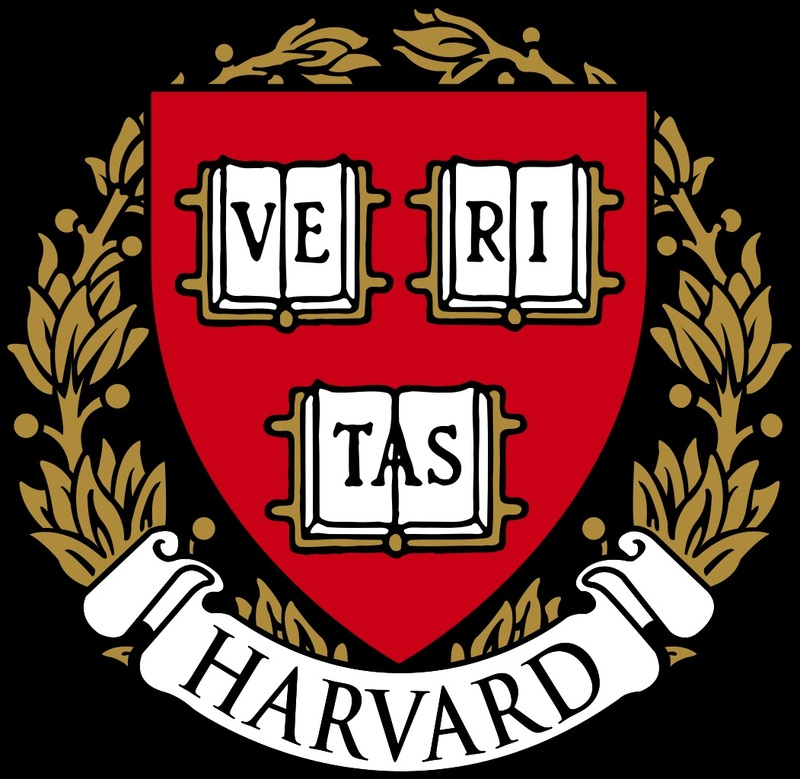 At Harvard University, where he earned his undergraduate degree, Zhang majored in chemistry and physics and did research under the mentorship of Xiaowei Zhuang, a professor of chemistry and chemical biology. “I was always interested in biology but I felt that it’s important to get a solid training in chemistry and physics,” he says. 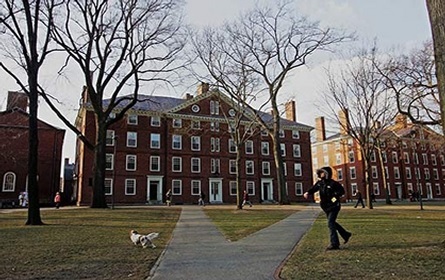 While Zhang was at Harvard, a close friend was severely affected by a psychiatric disorder. That experience made Zhang think about whether such disorders could be approached just like cancer or heart disease, if only scientists knew more about their underlying causes. “The difference is we’re at a much earlier stage of understanding psychiatric diseases. That got me really interested in trying to understand more about how the brain works,” he says. At Stanford University, where Zhang earned his PhD in chemistry, he worked with Karl Deisseroth, who was just starting his lab with a focus on developing new technology for studying the brain. Zhang was the second student to join the lab, and he began working on a protein called channelrhodopsin, which he and Deisseroth believed held potential for engineering mammalian cells to respond to light. The resulting technique, known as optogenetics, has transformed biological research. Collaborating with Edward Boyden, a member of the Deisseroth lab who is now a professor at MIT, Zhang adapted channelrhodopsin so that it could be inserted into neurons and make them light-sensitive. Using this approach, neuroscientists can now selectively activate and de-activate specific neurons in the brain, allowing them to map brain circuits and investigate how disruption of those circuits causes disease. After leaving Stanford, Zhang spent a year as a junior fellow at the Harvard Society of Fellows, studying brain development with Professor Paola Arlotta and collaborating with Professor George Church. That’s when he began to focus on gene editing — a type of genetic engineering that allows researchers to selectively delete a gene or replace it with a new one. He began with zinc finger nucleases — enzymes that can be designed to target and cut specific DNA sequences. However, these proteins turned out to be challenging to work with, in part because it is so time-consuming to design a new protein for each possible DNA target. That led Zhang to experiment with a different type of nucleases known as transcription activator-like effector nucleases (TALENs), but these also proved laborious to work with. “Learning how to use them is a project on its own,” Zhang says. When he heard about CRISPR in early 2011, Zhang sensed that harnessing the natural bacterial process held the potential to solve many of the challenges associated with those earlier gene-editing techniques. CRISPR includes a nuclease called Cas9, which can be guided to the correct genetic target by RNA molecules known as guide strands. For each target, scientists need only design and synthesize a new RNA guide, which is much simpler than creating new TALEN and zinc finger proteins. Since his first CRISPR paper in 2013, Zhang’s lab has devised many enhancements to the original system, such as making the targeting more precise and preventing unintended cuts in the wrong locations. They also recently reported another type of CRISPR system based on a different nuclease called Cpf1, which is simpler and has unique features that further expand the genome editing toolbox. Zhang’s lab has become a hub for CRISPR research worldwide. It has shared CRISPR-Cas9 components in response to nearly 30,000 requests from academic laboratories around the world and has trained thousands of researchers in the use of CRISPR-Cas9 genome-editing technology through in-person events and online opportunities. His team is now working on creating animal models of autism, Alzheimer’s, and other neurological disorders, and in the long term, they hope to develop CRISPR for use in humans to potentially cure diseases caused by defective genes. “There are many genetic diseases that we don’t have any way of treating and this could be one way, but we still have to do a lot of work,” Zhang says. The gene-editing technology known as CRISPR has spawned an increasingly unseemly brawl over who will reap the rewards. That scene came to mind as I sorted through the tawdry verbal wreckage on social media and in print of the “debate” over CRISPR, the revolutionary new gene-editing technology. The current brouhaha, triggered by Eric Lander’s now-infamous essay in Cell called The Heroes of CRISPR, is the most entertaining food fight in science in years. The stakes are exceedingly high. CRISPR is the most important new technology to hit biology since recombinant DNA, which launched Genentech, made Swanson, along with his colleagues and investors, rich and brought molecular biology, long the province of academia, into the realm of celebrity and big money. In this context, the Cell essay has huge patent and prize implications. 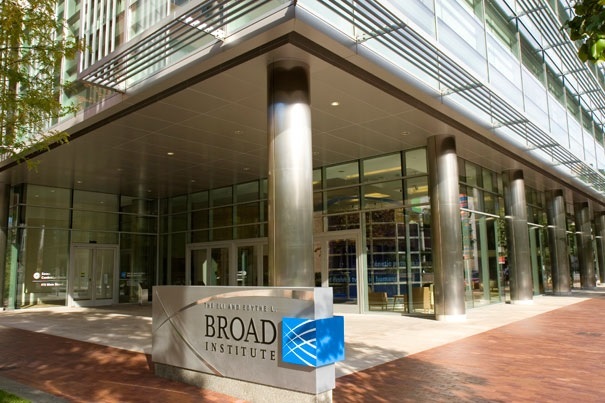 Lander has been accused of writing an incomplete and inaccurate history of the CRISPR story, burnishing the patent claims of the Broad Institute in Cambridge, Mass., (he is its director) and minimizing the contributions of rival scientists. A blogger has referred to him as “an evil genius at the height of his craft.” And George Church, a colleague at the Broad Institute, likens Lander to a figure out of a Greek tragedy. “The only person that could hurt him was himself,” he says. “He was invulnerable to anybody else’s sword.” And you thought scientists couldn’t talk smack. Spectators, scientific and otherwise, have followed this bitter dispute with fascination but the fight is destructive–and far from over. In waging a nasty public battle over CRISPR, the protagonists have given science a black eye for the reason Swanson suggested on that long-ago night in Marin County: money and glory. In waging a nasty public fight over CRISPR, they have already attracted the scrutiny of the mainstream press (The Washington Post and the Boston Globe Media’s STAT, to name two avid voyeurs), the scientific press and, oh boy, the Internet. The trash talking has undermined the public image of science, raised unflattering questions about the motives of scientists and institutions and, less obviously, fueled doubts about the judgment of leading scientific journals, which act as unofficial auditors of the billions of taxpayer dollars spent on biological research. The spat is like an escalating and increasingly ugly domestic dispute: no one wants outsiders to get involved but the screaming has gotten so loud that somebody has to call the cops. The fight over CRISPR is getting to that point. Woe be it to science if the politicians step in and use the fight as an excuse to rethink funding or the rules of technology transfer. The scientific story has deep roots. Scientists glimpsed the first hint of CRISPR biology in the 1980s and primitive forms of gene-editing arose in the 1990s. But a crucial leap occurred in 2012 when a group led by Jennifer Doudna of the University of California, Berkeley, and Emmanuelle Charpentier, now at the Max Planck Institute for Infection Biology in Berlin, demonstrated the possibility of simple CRISPR-based gene-editing to a broad audience of scientists with a paper in Science. The University of California and the University of Vienna filed for a patent, listing Doudna, Charpentier and other individuals. But the U.S. Patent and Trademark Office issued a patent in 2014 to Feng Zhang of the Broad Institute, which filed its application after Berkeley but requested expedited consideration. The University of California has challenged the validity of all the Broad patents (now numbering about a dozen) and the ensuing “interference” proceedings may allow another year of trash talking by scientists and bloggers alike. Meanwhile the protagonists—and their institutional proxies—continue to jockey for priority, prizes and reputation. Against this backdrop, Lander’s piece came as a shock. Lander is director of the Broad Institute and therefore someone with a very big dog in the patent fight. Maybe by calling it a “Perspective” the editors of Cell were signaling Lander’s obvious conflict of interest; nothing else in the article did. Beautifully put. So why did the Twitterverse go radioactive on Lander within hours of the article’s publication on January 14? As I often suggest to students in my science journalism classes, just because a story is beautifully written doesn’t mean that it is true—in whole or in part. Judging from the firestorm of criticism, “The Heroes of CRISPR” falls short on a number of issues, beginning with this awkward money-tinged paradox: If the CRISPR story (and science in general) is such a beautiful ensemble activity, why is there only one name on the Broad Institute’s patent? Well, patents have to do with money, and money turns a lot of beautiful scientific stories into ugly legal narratives. Wigler, who now runs a lab at Cold Spring Harbor Laboratory, says of the Columbia patent: “Of course it’s had an impact on institutions, because institutions are desperate for money.” That’s why the University of California and the Broad Institute (a joint venture of Harvard University and Massachusetts Institute of Technology) will fight fiercely—“red in tooth and claw,” you might say—to claim intellectual property on CRISPR. Many readers (including me) interpreted Lander’s elegant history of CRISPR as a calculated attempt to elevate the intellectual contribution of Zhang (the Broad Institute scientist who is recognized, for the moment, by the patent office as the lone “inventor” of CRISPR) as it minimizes the contributions of Doudna and Charpentier. (Zhang’s discovery narrative is long, detailed and colorful; Doudna’s appearance comes in the middle of a paragraph, and her work doesn’t get nearly the same star treatment.) In other words, this beautifully crafted history can also be read as a patent brief in disguise. (A blog by science historian Nathaniel Comfort shrewdly deconstructs the rhetoric used by Lander to advance Broad’s interests. Inexplicably, Cell didn’t even mention Lander’s flagrant conflict of interest (an instance of editorial neglect to which we’ll return later). In truth, there are a lot of moving parts and proxies in this messy battle. The hostilities involve institutions (M.I.T. and Harvard versus University of California), gender (Doudna, Charpentier, Zhang), geography (east versus west coast) and what you might call über-institutions (the Broad Institute, which has become an empire of genomic research under Lander’s direction, especially after his leading role in the Human Genome Project, versus the Howard Hughes Medical Institute, whose president, Robert Tjian, is based at Berkeley and has co-authored at least one CRISPR paper with Doudna, also an HHMI investigator). Probably because of this combustible mix of interests, the debate over the Cell article has become especially nasty; whatever used to be the line of decorum in scientific debate, it was breached within 24 hours after the Cell article appeared. Some viewed Lander’s history as a gender diss. The title of a post on the Web site Jezebel says it all: How One Man Tried to Write Women Out of CRISPR, the Biggest Biotech Innovation in Decades. Others saw it as shameless politicking for a Nobel Prize. And a lot of the invective has been surprisingly personal. Michael Eisen, an HHMI researcher at Berkeley, has been particularly outspoken in his blog. The Cell essay was “an elaborate lie,” Eisen wrote on January 25, and his attack didn’t stop there. The Lander article has inflicted some surprising collateral damage, notably to scientific publishing itself. Cell’s decision to publish the article, despite the Broad’s clear financial interest in the patent dispute, invited withering criticism. (The journal stated that it “regularly” evaluates its policies, and “will include” in that process the role of institutional conflicts of interest.) And if CRISPR is “the century’s biggest biotech innovation,” as a blogger for The Washington Post recently noted, what does it say about the quality of scientific journals that in at least 10 instances “seminal papers,” according to Lander’s Cell article, were rejected by journals like Nature, Proceedings of the National Academy of Sciences and even Cell itself? In many cases, editors at these journals did not even send out the articles for peer review. Virtually all this research is paid for at least in part by public money, which raises an inconvenient question: Is the public interest served by journals that don’t even recognize scientific excellence? Does Cell even give a hoot about public perception? Here’s what one prominent scientist told me about Cell’s handling of the entire episode: “All they care about is how many times the article is cited in their citation index.” That and the traffic on Twitter. That may hint at why the CRISPR dispute is so different, and so dangerous to the scientific community. Trash talking has been a part of science for centuries; Newton’s seemingly magnanimous remark that he stood “on the shoulders of giants” was, to the contrary, likely understood by his contemporaries to be a disparaging reference to the short stature of his main rival, Robert Hooke. But invective today gets amplified and disseminated so rapidly that it assumes a public life of its own, and scientific spats become a reality show complete with egos, self-promotion, greed and Machiavellian stratagems dissected in blogs, on social media and on bulletin boards. And then there’s the influence of money. Since the summer of 1978 biotechnology has bestowed untold riches on companies, institutions and individual biologists. It has produced thrilling science and some wonderful (albeit pricey) new medicines. But it has also slowly eroded boundaries between appropriate and inappropriate behavior. Scientific narratives used to be cast in the past tense, about what had been accomplished; now the storytelling is in the future tense to raise venture capital (or, in the case of ‘Heroes,” in what might be called the past imperfect to advance a patent claim). Hype used to be frowned on; now it is part of every business plan. Since at least the 1990s biotech companies have tried to influence university research, and it is a commonplace that the pharmaceutical industry dictates the terms of much academic clinical research. Students, already demoralized by scarce funding and no jobs, fret over whether basic research (of the sort that produced CRISPR in the first place) will be as esteemed as “patentable” work—and if their names will even be included on the patent. And the red flags that used to signal conflicts of interest are so frayed that you can essentially see right through them. It’s not that Cell should have had a stricter policy about conflicts of interest, it’s that a protagonist in the patent dispute probably shouldn’t have attempted to write a history of CRISPR in the first place. After the Lander article was published Cell posted a statement on its Web site saying Lander had indeed communicated that his institutional affiliations—Broad, M.I.T. and Harvard—had patents and patent applications related to CRISPR but that the journal only considers “personal” conflicts of interest. …Sorry, I got a little carried away there. Yes, it would be nice if the transformative power of CRISPR remained in the public domain; maybe we could even invent a new prize—the Rashomon Prize!—that recognizes all the key players, no matter how contradictory or self-serving their stories. But in the current ecosystem of biology, where institutions are indeed desperate for money and the rules of the game create winner-take-all slugfests, that is very unlikely to happen. Will the first gene-edited baby be born in 2016? Let’s hope not. It is far from clear it can be done safely – although technically it is now possible. Gene editing with the new method known as CRISPR is so cheap, easy and effective that a few scientists with the appropriate expertise could tweak one or more genes in a human embryo before it is implanted in a woman’s womb. What 2016 will undoubtedly bring is a lot more gene-edited organisms. CRISPR works well in everything from butterflies to monkeys. It has already been used to create extra-muscular beagle dogs and sheep; long-haired goats; and pigs immune to common diseases. Next up could be hypoallergenic pet dogs and cats, cattle resistant to TB, or chickens that don’t get bird flu. But whether any of these make it out of the lab in the next 12 months depends on the regulators. Gene editing can add new pieces of DNA, as in conventional genetic engineering, so any living thing altered in this way is bound in many countries by strict regulations on genetically modified organisms. Getting approval to sell modified animals takes a lot of time and money. But gene editing can also be used to make changes to existing genes – tweaks that are indistinguishable from naturally occurring gene variants. The mutation that made the beagles more muscly already exists in dog breeds like the bully whippet. In theory, this kind of gene editing should be exempt from regulation. If the regulators agree, this could be the year that people start eating, drinking or wearing products from gene-edited farm animals and plants, or buy the first gene-edited pets. Immune cells known as T cells are formidable fighters against cancer and HIV. But they can be outsmarted by these foes. Now researchers at the University of California, San Francisco have figured out how to help T cells fight back using the latest gene editing technique called CRISPR. The method was published in Proceedings of the National Academy of Sciences in July. “This technique opens a lot of doors for the field,” says lead author Alexander Marson. Scientists have been tinkering with genes since the early 1970s to create faster growing pigs or herbicide-resistant crops. But the techniques had poor precision. Tens of thousands of individuals had to be tinkered with to achieve the required edits and usually those edits would be inserted on the wrong pages of the DNA text. To reliably manipulate specific genes to fight human disease, pinpoint precision is required. Which is exactly what the CRISPR gene editing technique offers. It’s no surprise that since scientists first discovered CRISPR in bacteria three years ago, it has taken the world by storm. Microbes evolved CRISPR to edit viruses out of their DNA. Now it’s been used to precisely edit everything from the DNA of crops to editing the HIV virus out of human DNA. Last April, Chinese researchers used it to edit the DNA of a human embryo – a move that created a storm of controversy. 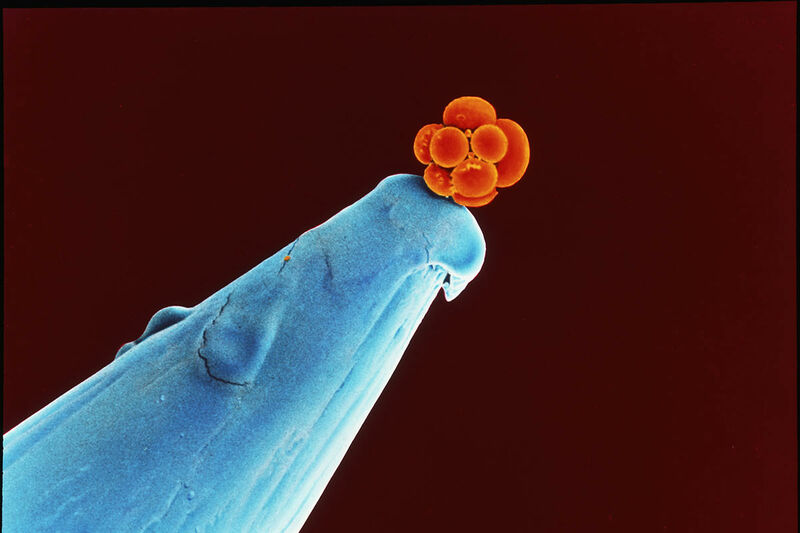 Till now tampering with the DNA of an embryo was considered out of bounds. But tampering with T cells is not likely to attract bad press. In particular, blood borne T cells form the major defence against viruses and cancer. Or when they misbehave, they cause auto-immune diseases such as Type 1 Diabetes. Controlling these cells by rewriting their DNA could mean a cure for incurable diseases. It’s all very doable: simply filter T cells from a person’s blood, edit their DNA and return them to the individual to do their job. The challenge is delivering the CRISPR machinery into T cells. Usually it’s done by packaging CRISPR into a harmless virus that ferries it into cells. CRISPR itself then acts like a guided missile, homing in on a precise stretch of the DNA code. (The guide that targets the DNA is a small piece of RNA. The missile is a shredding protein called Cas 9.) But so far, getting this guided missile inside the cells has been at the very low end of precision and efficiency. If only a tiny percentage of T cells can be engineered to resist HIV or fight cancer, it might hardly be worth the effort. So Marson’s team tried brute force. They zapped T cells from healthy donors with an electric current. This made temporary holes in the cells’ membrane, big enough for the intact CRISPR machinery to pop through. They managed to edit the DNA in 20 percent of T cells, a “huge” leap in efficiency according to Marco Herold, molecular biologist at Melbourne’s Walter and Eliza Hall Institute of Medical Research. Yet in contrast to their brute force entry, they were able to achieve very fine editing, changing individual letters of the cell’s DNA for the first time, as opposed to inserting or deleting large chunks. For instance they altered a doorway used by HIV known as CXCR4, so the deadly virus would not be able to enter and infect these T cells. They were also able to edit a gene called PD-1. Its role is to tell T cells to lay down their weapons so they don’t for instance attack normal cells of the body. But crafty cancer cells have learned how to give this same command to PD-1, so the T-cells lay down their arms in the vicinity of cancer cells. 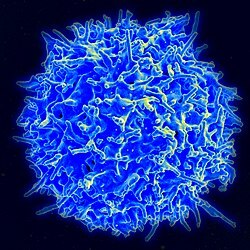 By editing the PD-1 gene of the T cells, the researchers should be able to turn T cells back into a fighting force against cancer. Simular approaches are successfully being trialled in cancer therapy employing antibodies to turn off the PD-1 signal. However the editing approach raises some concerns since T cells are long-term residents – sometimes remaining in the body for years. And if they are unleashed against cancer, one has to be sure they will not then go on to attack normal cells. “The danger is to create something you can’t control,” says Herold. “We have to work ahead to figure out how to ensure safety” of T cells, Marson agrees. “But it’s an exciting time for cell-based therapies.